83 billion dollars was spent on ads this year. This number is expected to rise every year. It’s because digital ads work. If you’re in a hurry to increase traffic and revenue, they offer the quickest respite. But ads won’t automatically start bringing in a positive ROI just because you put them out there. Certain procedures and strategies need to be followed to get strong results. Every digital platform will have its own rules and best practices you need to follow to get best results. Hence, you will create a separate ad for each network. For example, when you create an ad for Facebook, you will keep the amount of text in the image to less than 20% as Facebook penalizes and limits reach when you have more text. But if you were creating an ad (to promote the same page/goal) for a site like LinkedIn, Google or Pinterest, you won’t have to stick to any text restrictions on the image. So you will change the ad by adding more text. You will also adjust the image dimensions to meet the guidelines on these platforms. But no matter how much you change the copy, size, or the design, you should make sure you stick to the principle of conversion scent. The principle of conversion scent indicates that to achieve a good conversion rate, the ad you created should match the landing page it leads to. The style of the copy, font, color scheme, and any other content you place in the ad should match those on the landing page. The above image is a good example of strong conversion scent. The ad and the landing page are so similar. Applying conversion scent to your ads works because it gives a sense of familiarity. Unless you’re using retargeting, most of the people referred by your ad are probably visiting your site for the first time. Therefore, when the ad design matches the landing page design they will see a connection. They won’t wonder if they ended up in the wrong place. Hence, no matter what changes you make to your ad image before publishing to different digital platforms you should ensure the design and copy are similar to that of the landing page. This will not just improve conversions, but will also make your job easy as you will already have a design outline in place. Click fraud is a huge problem that could tank your ROI. Some unscrupulous competitors will use bots to generate clicks that will exhaust your ad budget quickly. It is estimated that businesses will lose $16.4 billion in 2017 because of click fraud. You can prevent this by using a click fraud protection tool like Clickcease. 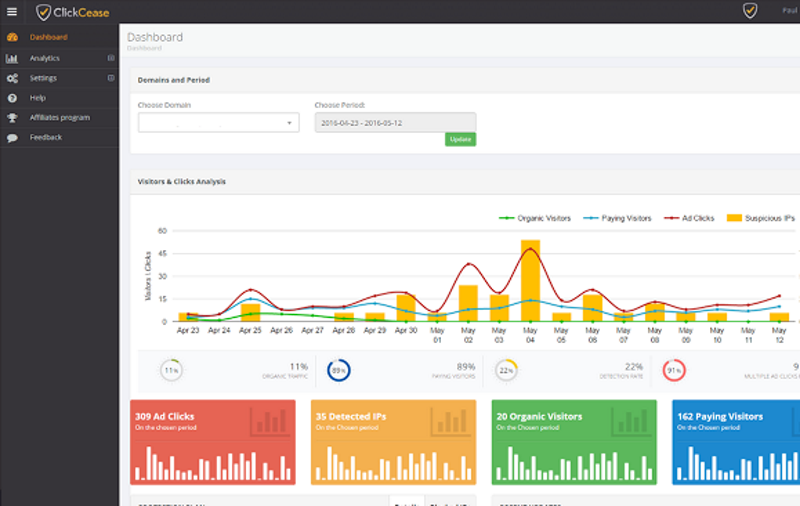 It monitors your ads to keep away bad hosts, blacklisted IPs and proxy servers. If a fraudulent click is detected it will hide your ad and prevent them from clicking again. It will even automatically file reports on your behalf to Google and claim credit refunds for false activity. On your Clickcease dashboard you can also view reports that display ad performance and see how effectively your ads are being protected. Ads aren’t the only factor that affect conversions, your site design matters too. If your website is better designed and optimized for conversion, more of the paid traffic you send will convert. One mistake businesses constantly make with their ads that affects their conversions is sending people to their home page. An example is this ad. 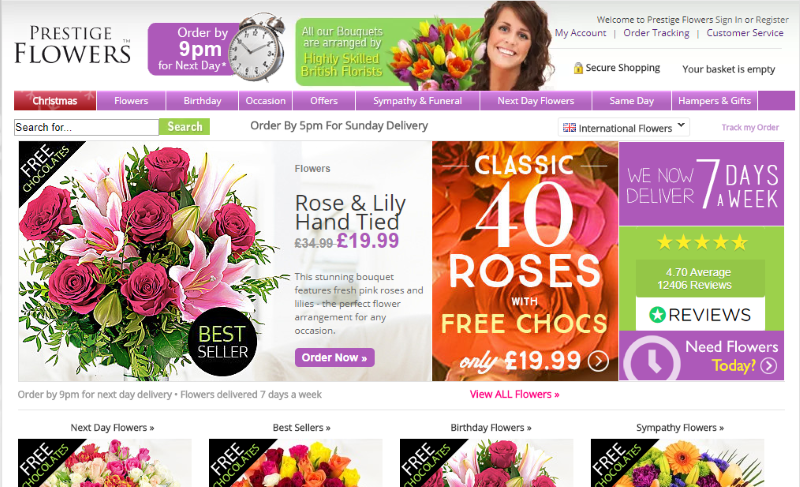 It came up when I typed in ‘Buy Flowers’ on Google search. And here is the site that turns up when I click on the ad. There’s nothing wrong with the site. It looks great and is easy to navigate, but the problem is that there are too many options. They have a long menu and various ads displayed on the home page for several products. This can hurt conversions because more choices lead to a decrease in conversions as found in this study. 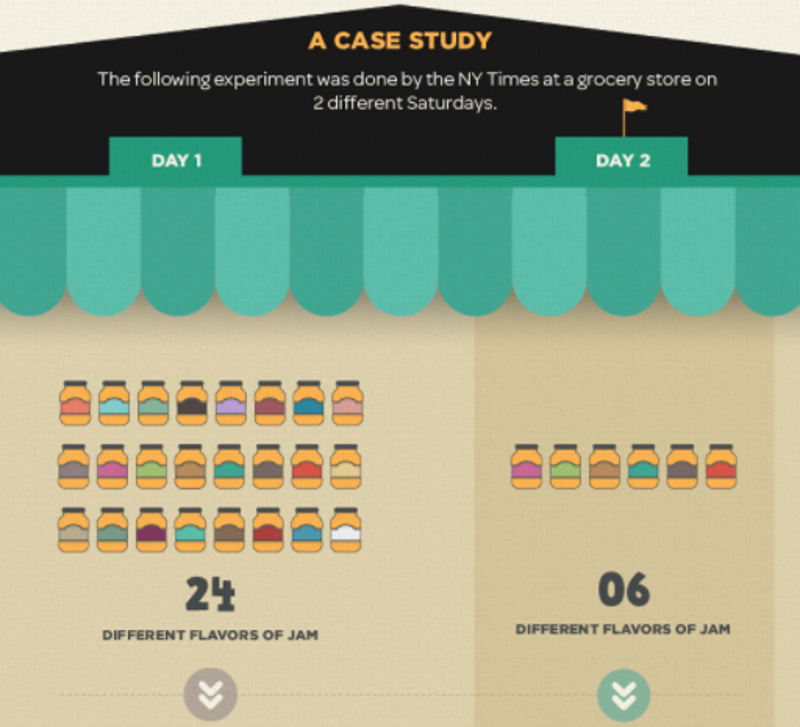 In the study, sampling sessions were conducted at a grocery store. In one session people were allowed to taste 24 flavours while in the other they were only allowed to taste 6. 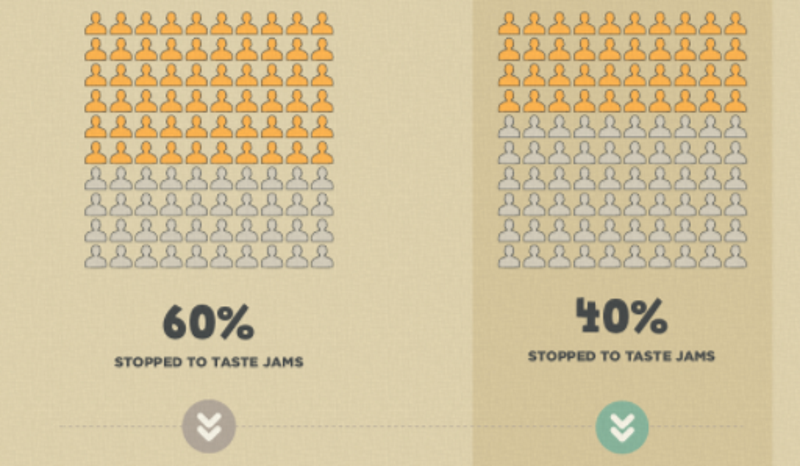 As you can see, more flavors attracted more tasters, but only 3% purchased the jam. 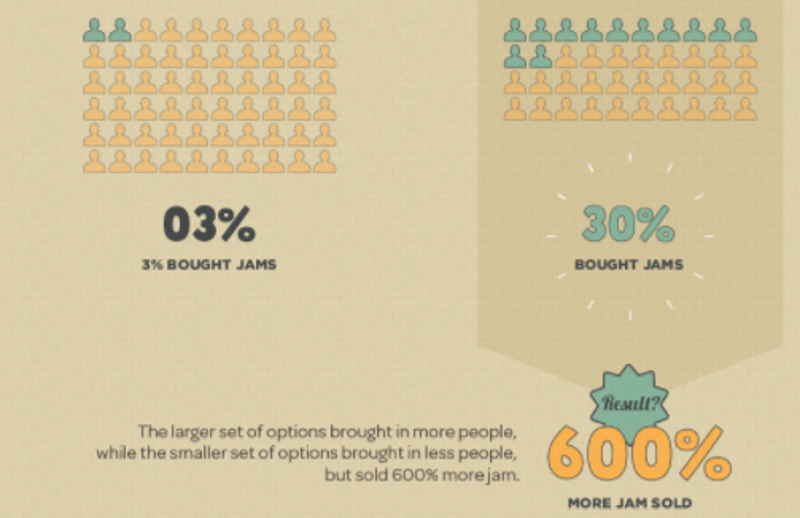 But when the choices were limited, 30% purchased the jams. This is why you should follow a similar model in your digital marketing as well. Instead of directing people to your home page with your ads, you should direct them to a landing page where you only promote one or few of your products. Once they convert to a customer you can promote the rest of your catalog of products. 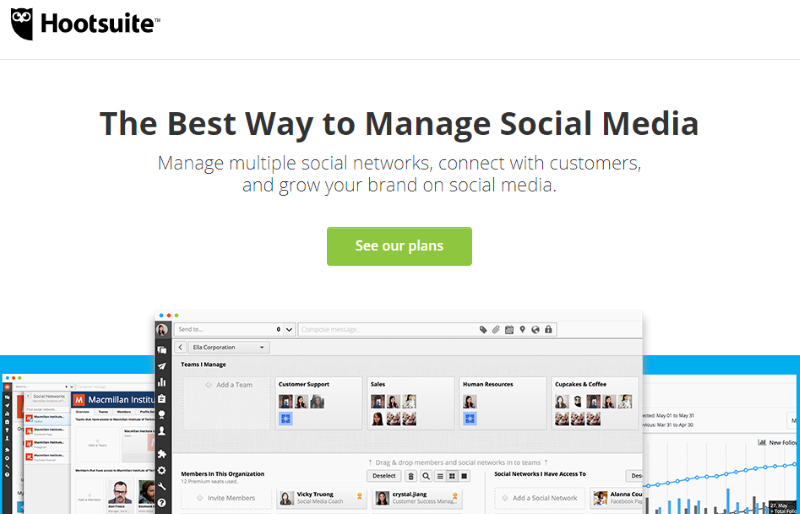 An example of a well optimized landing page is Hootsuite’s. I typed in ‘social media tools for business’ on Google’s search and this ad turned up. And when I click on it I am taken to a well optimized landing page. The landing page focuses on only one thing, getting people to sign up for a plan for one product. As choices are very few more people will be likely to sign up. And there are no other distractions like menus and links. Landing pages like these are easy to set up nowadays as there are several landing page builder tools and plugins. To build landing pages on my site I use Leadpages. It is very easy to use. You can either build landing pages from scratch or with one of their templates. They recently introduced a feature that even lets you quickly create Facebook ads to promote your landing pages. The above-mentioned method of using landing pages instead of ads will help increase conversion rates. But if you want to do better you should opt for a nurturing funnel instead of using ads to make a sale directly. A nurturing funnel starts with a landing page where people can sign up for a free offer like a helpful eBook, video, white paper, case study, etc. Along with the free offer you also send them more free content in the email they sign up with. You should at least send 5 emails, 1 a day, for 5 days straight after they sign up. In the first 4 emails you promote your product(s). But in the final email on day 5 you ask people to buy your product or hire you for your services. When you use a nurturing funnel, you will build trust instead of forcing a sale like everybody therefore more people will buy from you. You can also have funnels where you continue sending auto-responder emails for weeks and months. Therefore, even if they don’t convert on the 5th day, some of them will convert later. As this nurturing series will be automated it is definitely worth the effort. It will take some time to write the emails, but after that you can set and forget. Of course, you will occasionally need to tweak the emails and funnel here and there. In order to execute this properly make sure you use some advanced email service provider that not only lets you send regular emails, but also lets you tag user behavior so that you can send them even more relevant emails based on their preferences. The more relevant your emails are, the more conversions and fewer unsubsribers you will have. For automating my emails I use Drip. It has all the features required for email automation and more. Implementing the above techniques will improve your ad performance. But you can never be sure if you are doing your best. The only way to be certain is to conduct split tests. Experiment with both different types of ads and landing pages to see if they increase your ROI or decrease. As you keep experimenting you will find your best performing ads and landing pages and you can stick with them. You can experiment with your funnels too by varying the number of emails and introducing other forms of content like webinars. Now that you know how to get maximum ROI from your ads you should begin creating them. 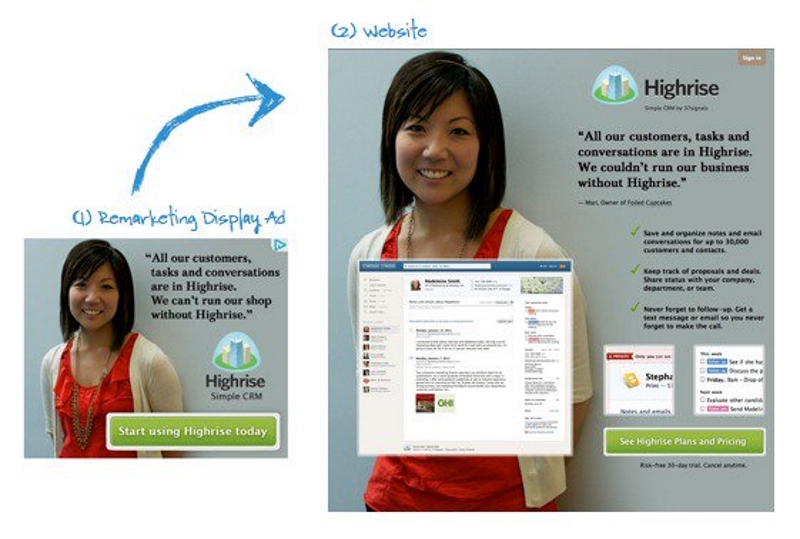 But remember that it isn’t just about the ad, but the landing page it leads to and the funnel the landing page leads to. Thinking of ads and conversion in this holistic fashion will keep you ahead of the competition. How do you get maximum ROI from digital ads? Would you like to add anything? Please leave your comments below.